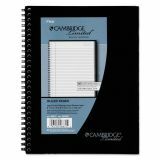 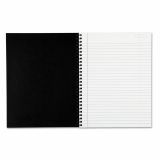 Cambridge Side Bound Ruled Meeting Notebook, Legal Rule, 9 1/2 x 6 5/8, 80 Sheets - One-subject business notebook features a professional flexible, linen cover with double wire binding. Premium 20 lb. 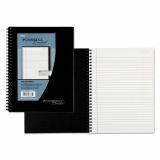 bond paper is legal-ruled and perforated for easy clean removal. 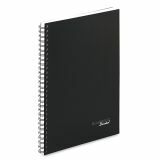 Notebook contains 30 percent post-consumer material.